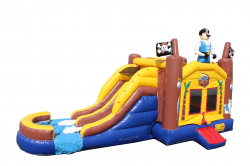 Our pirate combo will help create the party of the year, the party no one wants to miss. 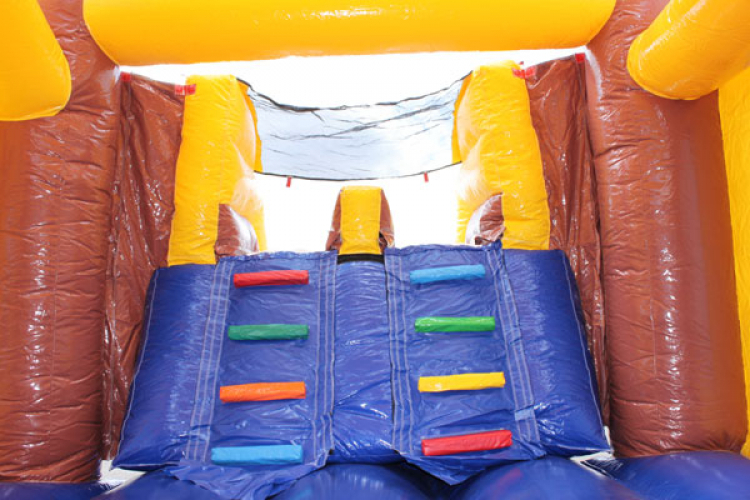 Pirate parties have become a favorite theme for kids of all ages. 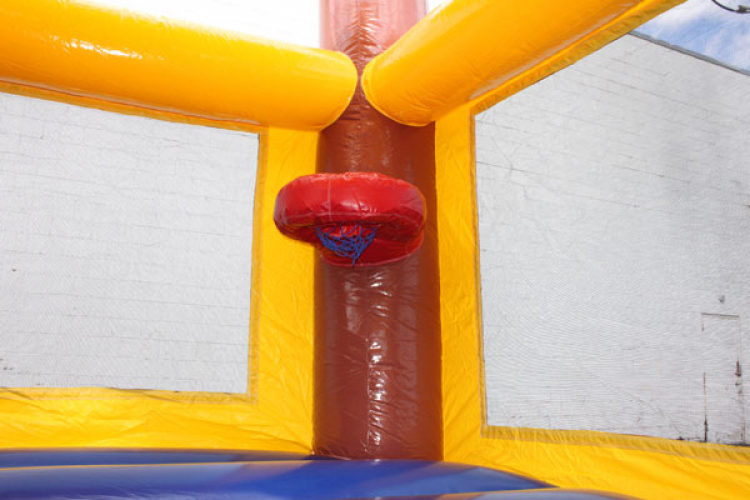 Grab your pirate gear and jump into our bouncy moonwalk, shoot a couple cannon balls into the hoop and walk the plank till you make a splash at the end of the slide. 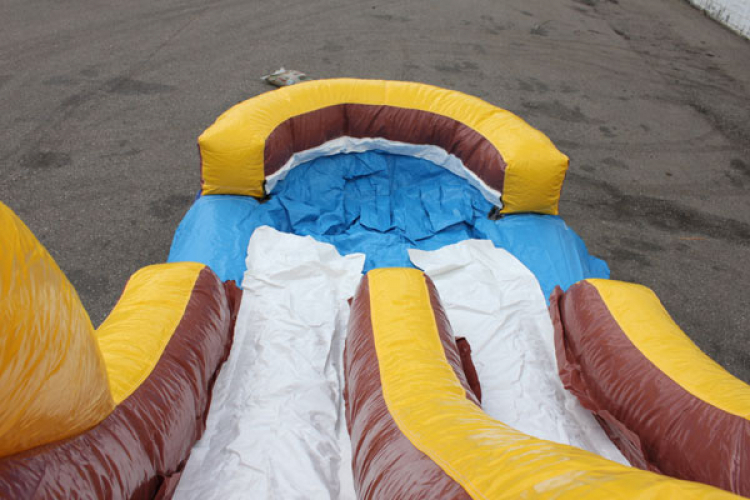 This bounce house combo can be used wet or dry to entertain crowds on those really hot days or any day. 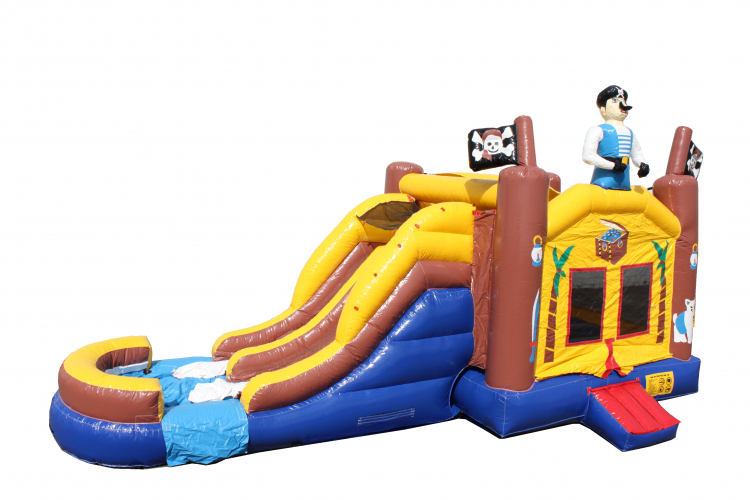 Yo ho, yo ho, be the favorite pirate parents on the block with this pirate combo bounce house for your favorite pirate boy's or girl's party.